While reading the newspaper today, a question raised in my mind by seeing that ‘Smiling face icon’. A curiosity to know that who is the man behind this Smiley face. 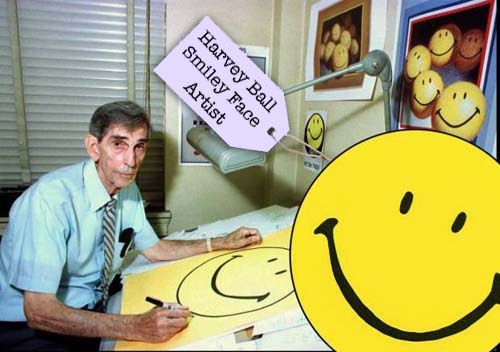 Harvey Ross Ball, co-owner of an advertising & public relations firm in Worcester, Massachusetts designed the Smiley face in 1963. He was born on July 10, 1921 and died on April 12, 2001 in Worcester, Massachusetts. The State Mutual Life Assurance Company of Worcester, Massachusetts had purchased Guarantee Mutual Company of Ohio and was facing low employee morale. So, they hired Harvey Ball as a freelance artist, to come up with an image to increase morale. What he created was a Smiley face, in less than 10 minutes for his client, who paid $45 for the creation. Simple yet world-changing Smiley face, brought smiles to the faces of executives. Then, the insurance company printed 100 Smiley pins for their employees to make them smile whole day but soon clients began requesting them and the company started ordering the buttons in batches of 10,000. 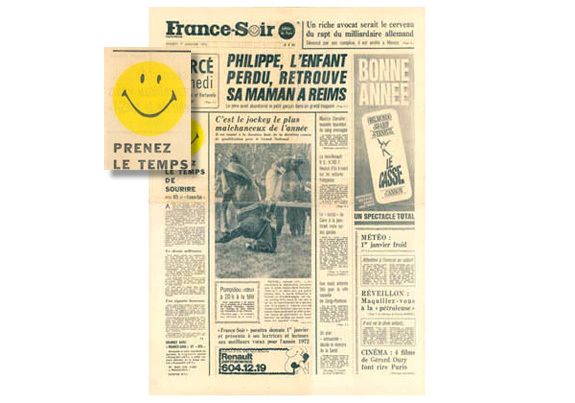 In 1972 French journalist Franklin Loufrani became the first person to register the mark for commercial use when he started using it to highlight the rare instances of good news in the newspaper France Soir. He launched the Smiley Company by selling smiley T-shirt transfers. In 1996, Loufrani son Nicolas took over the family business and transformed it into an empire. Beginning in 1996, retail Walmart started using the Smiley Face in stores and later in TV ads. They then tried to claim ownership of the design. The legal battle lasted 10 years and cost both companies millions of dollars. It was settled out of court in 2007 but its terms remain undisclosed.